Sharing these pet safety tips is easy as pie! Thanksgiving is a time for families and friends to gather around delicious food and express gratitude for the blessings in life. Pet owners may want to include their furry friends in quality time throughout the special day, but it’s important to make sure they’re kept on a tight leash and away from harmful table scraps. Poultry and ham bones. Chicken and turkey bones are hollow and shatter easily, which can cause little shards to get caught in your pet’s throat or stomach. Ham bones usually have a lot of salt, which could give your pet an upset stomach. Fat drippings from your turkey pan. These are too much for your pet to handle and they should not be poured over their usual pet food as an added treat. Pumpkin. It is a natural stool softener for dogs and cats and can cause diarrhea. Inform your guests of the rules when they arrive so they aren’t trying to get on your pet’s good side through food. Instead, have them hand your pet one of their usual treats to help them get acquainted. Make sure to secure your garbage when the meal is finished so your pet doesn’t gobble up all of those leftovers while you are taking your post-turkey nap! 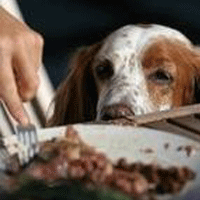 There are easy ways to keep Thanksgiving festive for your pet without sharing table scraps. 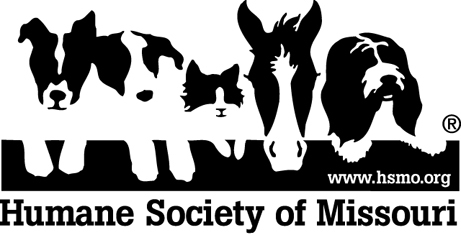 Serve their usual food in a special holiday dish or buy seasonal dog treats or toys, available at any of the Humane Society of Missouri gift shops.